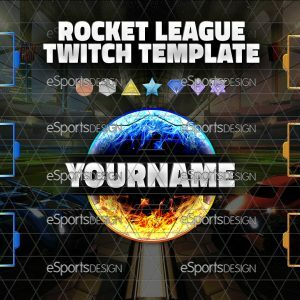 Rocket League Twitch overlays template and badge logo for use with the social media package or as a logo and template for your Twitch stream. 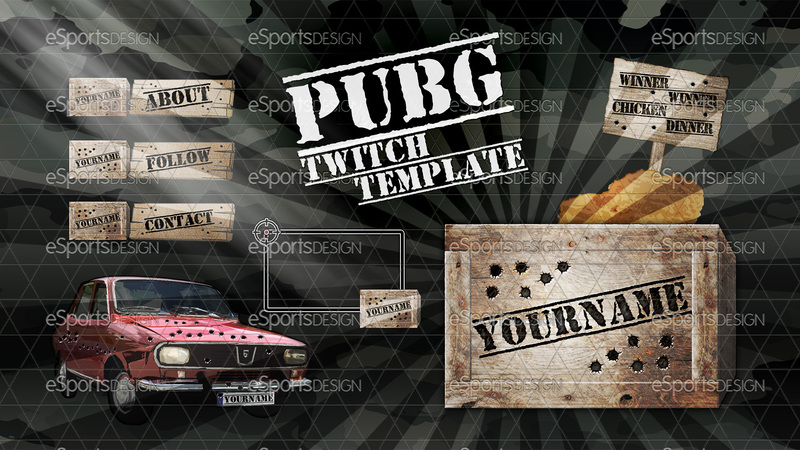 PUBG Twitch templates and badge logo for use with the social media package or as a logo and template for your Twitch stream. 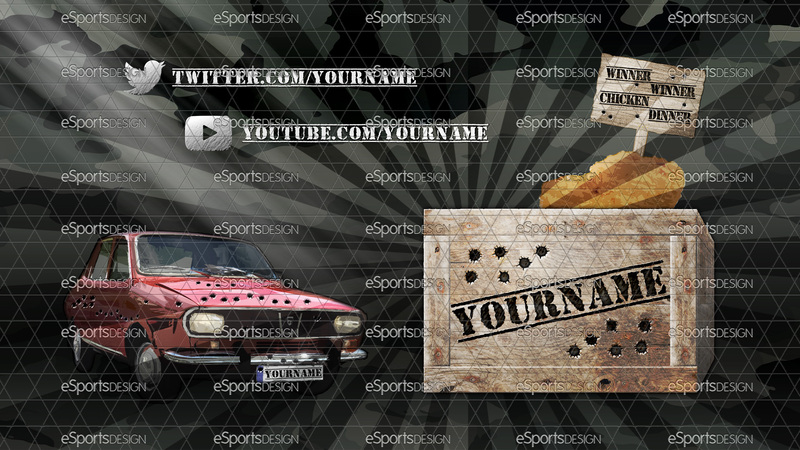 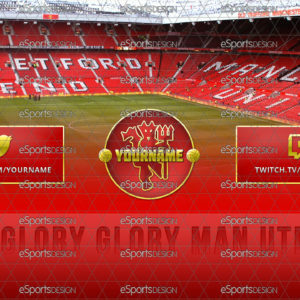 Includes PSD source files for a badge logo, Twitch profile cover background and titles for your about section, HD screens for intermission and offline, webcam overlays for ratios 16:9 and 4:3, wooden backgrounds, Dacia image, chicken dinner and sign, crosshair icon and all necessary font files. 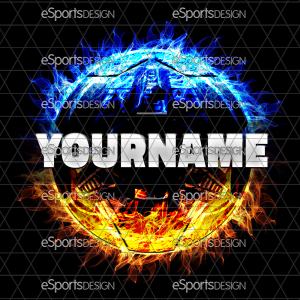 Adobe Photoshop is required to modify the PSD source files, for more information please see our FAQ. 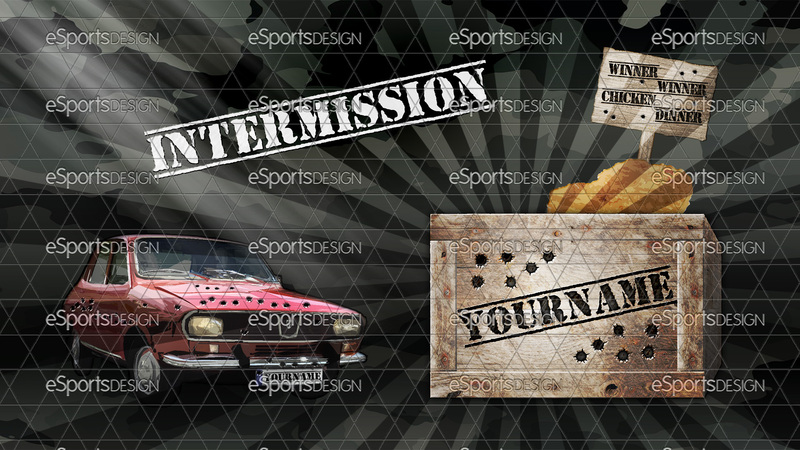 Alternatively we can make the required text or colour edits for you and send you the edited files for a small fee.